Kia Accessory Stores deal of the week. 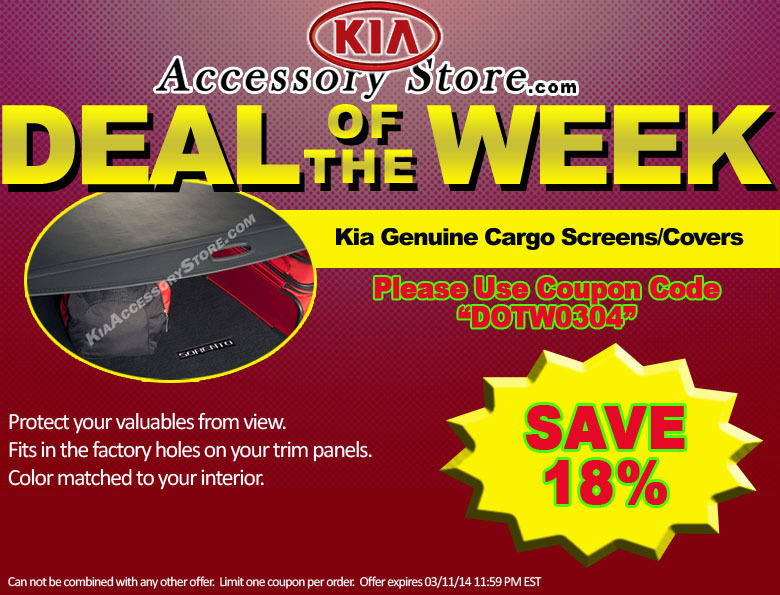 Save 18% of Cargo Screens Protect your valuables from view with this Genuine Kia cargo screen. Fits in the factory holes on your trim panels. SAVE 18% ON CARGO SCREENS - USE COUPON CODE "DOTW0304"
Can not be combined with any other offer. Limit one coupon per order. Offer expires March 11, 2014 11:59pm (EDT). Please call 1-800-509-2652 for complete details.